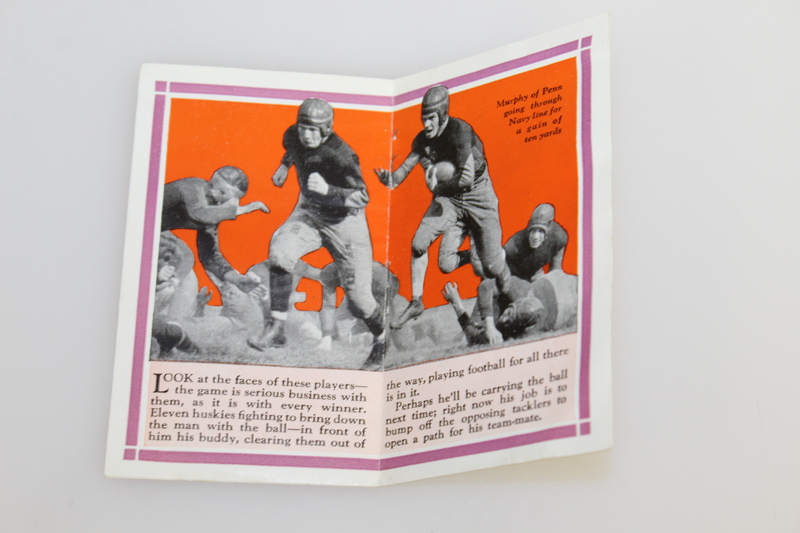 The Stevens-Davis Co. of Chicago, Illinois in 1929 printed this colorful (for the times) six page booklet measuring 4" x 2 1/2" in size. 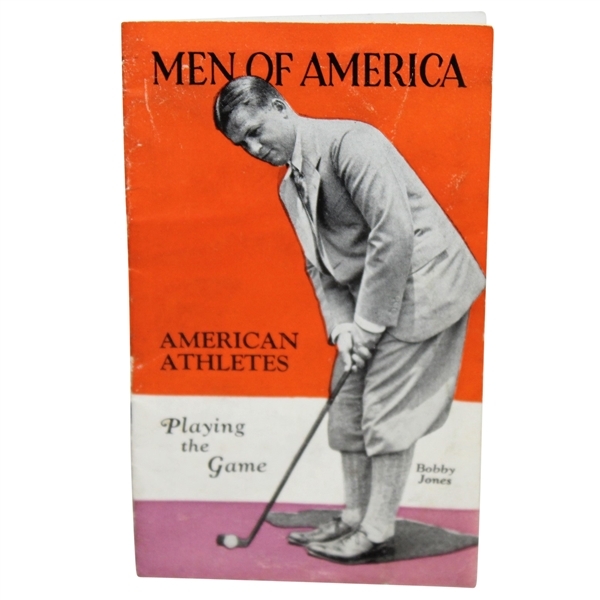 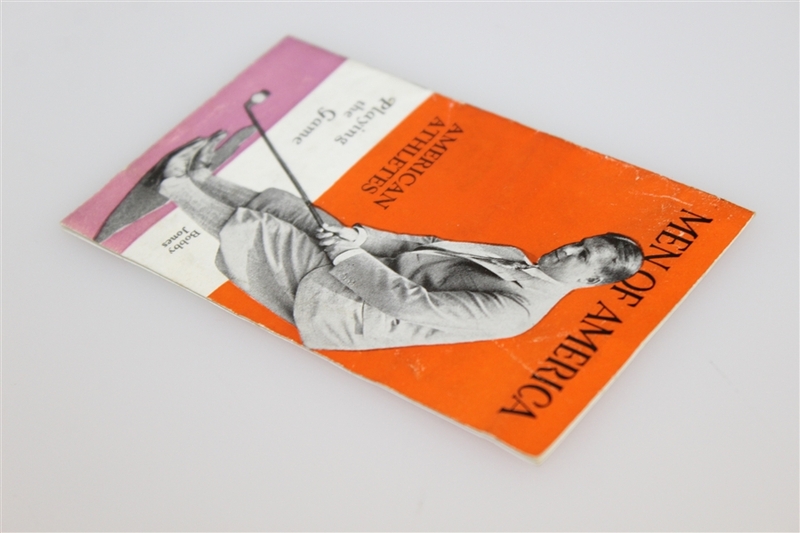 Front cover is dedicated to the champion golfer of the day in Bobby Jones, one year before his 1930 Grand Slam success. 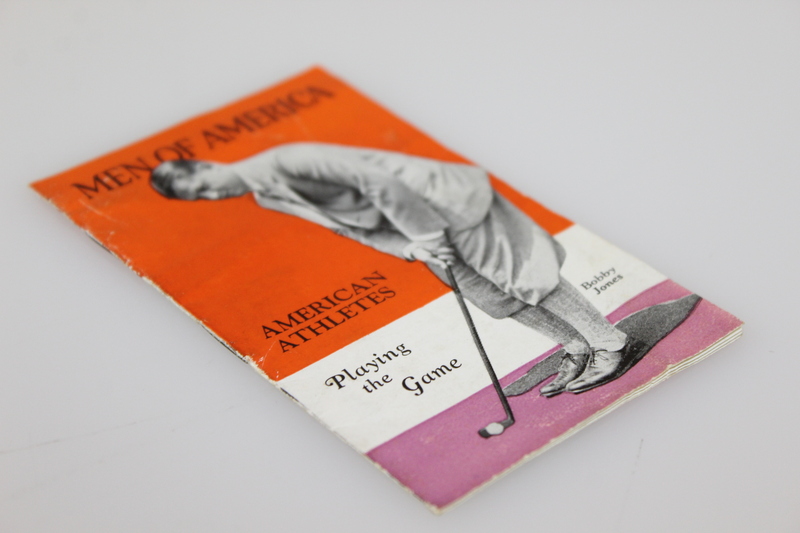 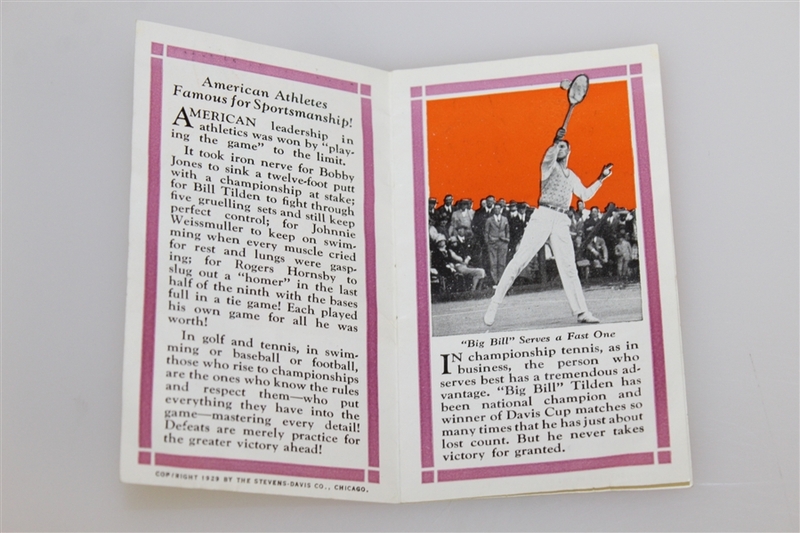 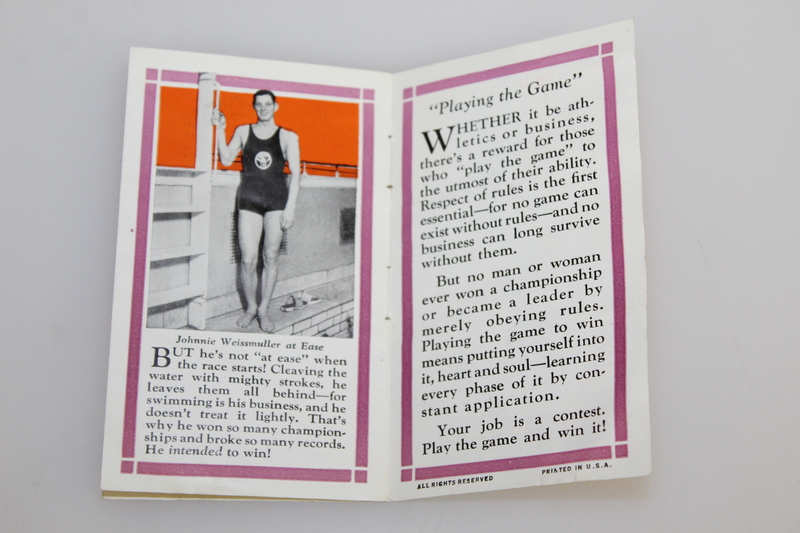 Inside major sports stars include Tennis' Bill Tilden and Swimming star Weissmuller. 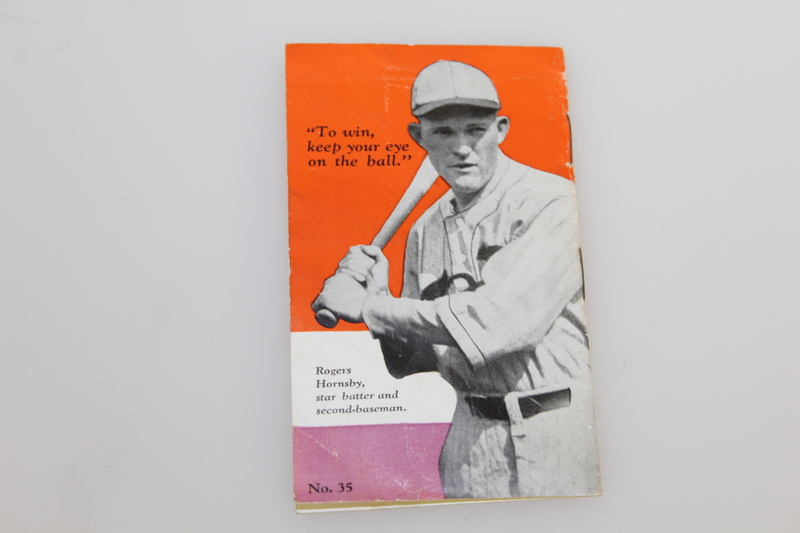 The back shows champion batter of the day Rogers Hornsby, who by 1929 had already hit over .400 three times in his career with the St. Louis Cardinals and was entering his first season playing for the Chicago Cubs.